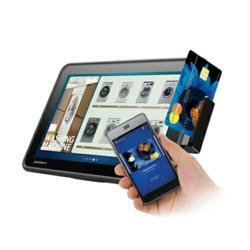 Bluebird is introducing new Pidion® tablets and mobile POS terminals, which allows retailers to instantly engage with their customers and manage their store environments more competitively. Bluebird Soft Inc., uniquely positioned for providing both AIDC and payment solutions will be showcasing its latest retail solutions in Booth 2759 at the NRF 102nd Annual Convention & EXPO on Jan. 14-15, 2013 at the Jacob K. Javits Convention Center in New York City. In a rapid changing retail environment, knowing customers matters most and complete mobility solution that is attractive to the retailers is playing a key role in their business. Innovative ways to interact with the customers will therefore be Bluebirds’ main theme at this year’s Retail’s BIG Show. All of these tablets feature dual core 1 or 1.6GHz processors, 15,000 mAh batteries for all day performance, a choice of WAN radios, 802.11a/b/g/n, GPS, and Bluetooth. MT760, a rugged mobile terminals that can accept payments from Mag Stripe cards, Smart Cards, and contactless payment via NFC. With its open protocol and SRED modules, PCI PTS 3.X and EMV certifications, merchants are assured secure transactions. It also has a built-in printer and features a bright 4” capacitive touch screen using Bluebird’s EyelluminateTM display technology. Options include a choice of WLAN radio, 802.11b/g/n, and Bluetooth. Bluebird will also be holding the Pidion® Partner Prosper™ special event on Monday Jan.14, 2013 at 4:00 p.m. on Pidion Pavilion in the Expo Hall. Bluebird Soft Inc. (Bluebird), founded in 1995, is a global provider of handheld mobiles devices including mobile POS terminals, rugged tablets, and EDAs. Their expertise ranges from enterprise and industrial handheld mobile computers, printer-integrated mobile computers, handheld scanners, handheld RFID, to Android handhelds. 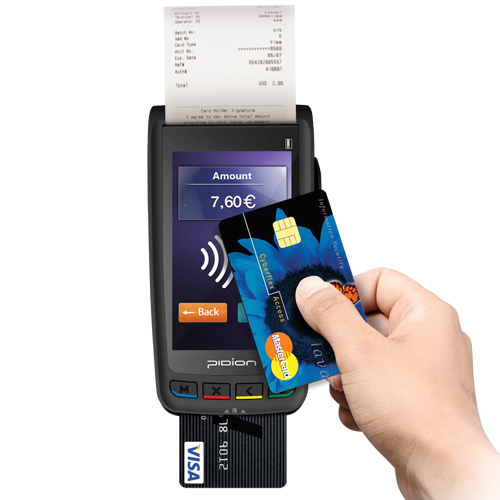 Bluebird is the only manufacturer focused on providing handheld mobile devices for both the AIDC market as well as payment operations under the brand name of Pidion®. We successfully adapt to emerging market trends through a broad range of innovative products, and pay close attention to the voice of our customers. With partnerships all over the world including Fortune 500 companies, Bluebird continues to grow and seeks to provide high-quality products at reasonable cost, while maintaining the flexibility to customize solutions based on your business needs. Bluebird HQ and its manufacturing facility are based in Seoul, South Korea and we have offices in USA and China to best serve our global partners. To learn more, visit http://www.bluebirdsoft.com.